Rincón de Guayabitos, the Heart of the Riviera Nayarit, will host this exciting tournament from August 23-26. 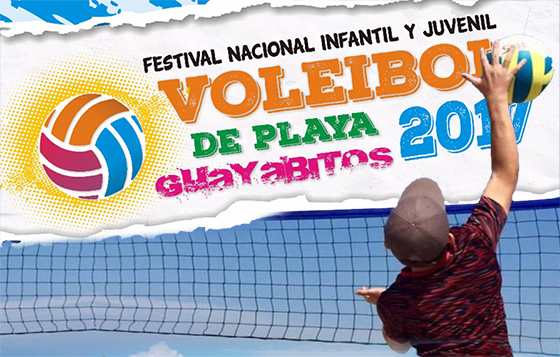 Rincón de Guayabitos is getting ready to host the V National Playa Guayabitos Youth Beach Volleyball Festival 2017—the first of its kind held outside southwestern Mexico—which will take place from August 23-27. Teams from nearly every state in the Republic are expected to attend. Sun, sand, adrenaline and plenty of fun are just some of the ingredients of this tournament that promises to be a top-notch sporting event in search of national volleyball champions in the junior and youth categories. The “Las Escolleras” neighborhood of Rincon de Guayabitos will once again host this event. The location offers one of the best views of the Isla del Coral (the icon of this micro destination) and some very spectacular sunsets, as well as the best sand conditions for beach volleyball in the area. The Festival is organized by the Mexican Volleyball Federation (FMUVB by its acronym in Spanish) together with the Nayarit Volleyball Association and presented by the Compostela Hotel Association. It also has the support of the Nayarit Tourism Trust (Fiprotur) and the Riviera Nayarit Convention and Visitors Bureau (CVB). The event has confirmed the participation of teams from the states of Veracruz, Guerrero, Oaxaca, Quintana Roo, Tamaulipas, Nuevo León, Durango, Coahuila, Zacatecas, Guanajuato, Colima, Michoacán, Jalisco, Chihuahua, Baja California, Sinaloa, Sonora, Nayarit, Aguascalientes, Querétaro, Estado de México, Baja California Sur, Puebla, Mexico City, Morelos and Hidalgo. According to the announcement published last June by the Mexican Volleyball Federation (FMVB) there will be five categories: Micro-volleyball (2009 and younger), Mini-volleyball (2007-2008), Children’s Minor (2005-2006), Children’s Major (2003-2004) and Minor Teens (2001-2002). Registration will be on August 23 from 4 – 6 p.m. at the host hotel: Decameron Los Cocos in Rincón de Guayabitos, located at Av. Sol Nuevo and Retorno Las Palmas. The judges will be chosen by the Mexican Volleyball Federation and advised by the Arbitration Committee. Winners of the first three places will take home trophies and medals in each of the Boys and Girls categories. Attendance is free and open to the general public.